Enkay47, is an American rapper and songwriter originally hailing from the small town of Silverton, Oregon. He initially began writing music at the ripe age of 15 in an attempt to make friends and "fit in" after being bullied and alienated by many of his peers. However, as time progressed, he realized how much of an impact music had made on his upbringing and wanted to help other people in the same way. At the age of 18 Enkay47 went on his first national tour as a "special guest" for Cryptic Wisdom's ‘One Take’ Takeover Tour and self released his debut album Welcome To My Mind in March, 2017. He built his fan base exponentially before the release of his next EP, The Iron Curtain, (March 2018) which peaked at #24 on iTunes in the US (#17 in Canada), and #9 on Google Play. During the span of only 6 months he went from just over 5,000 fans between YouTube and Facebook to over 100,000 thanks to viral videos like “Lesson Learned” (hitting 6 million views on Facebook) and “Twenty 18” (hitting over 2 million views on Facebook). 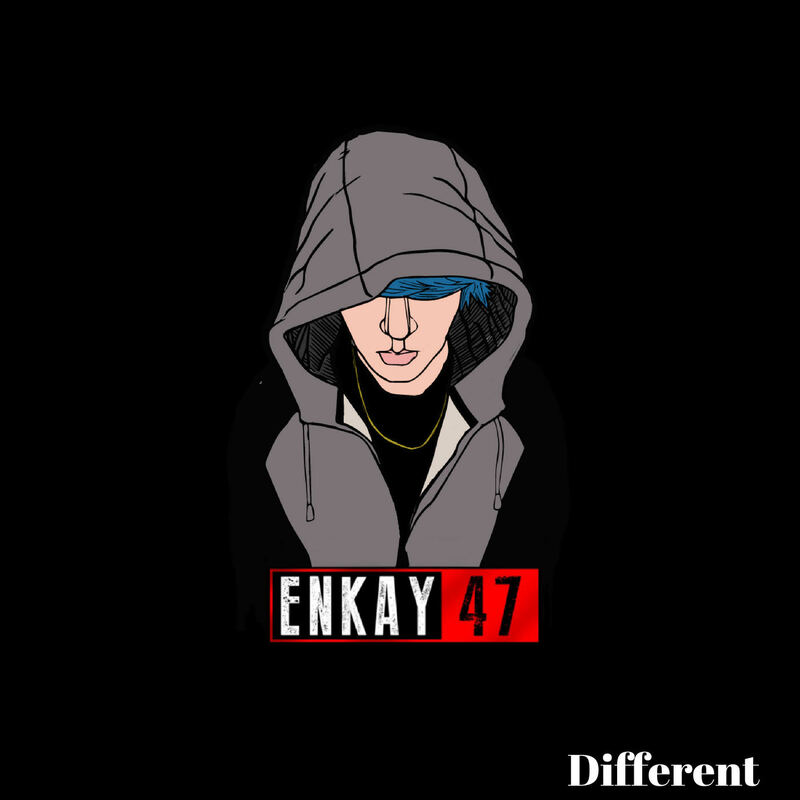 In August Enkay47 will release his new project, My Own Lane, and today he debuted the first single “Different” with HipHopDx. Enkay47’s My Own Lane is set for release in August of 2018.